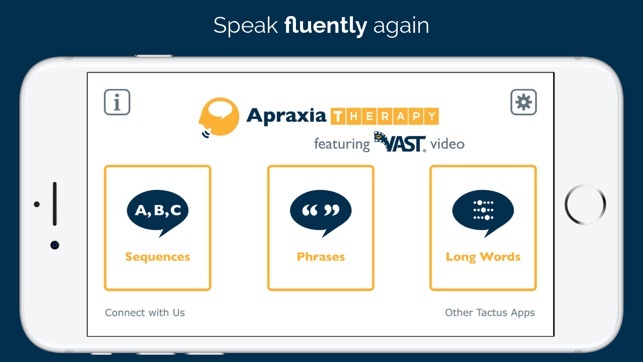 Tackle apraxia and aphasia head-on with a powerful speech therapy app that uses video to help people speak again. Stroke survivor, family member, or speech therapist? Get an app that can help you overcome the frustration and helplessness. * What is VAST? 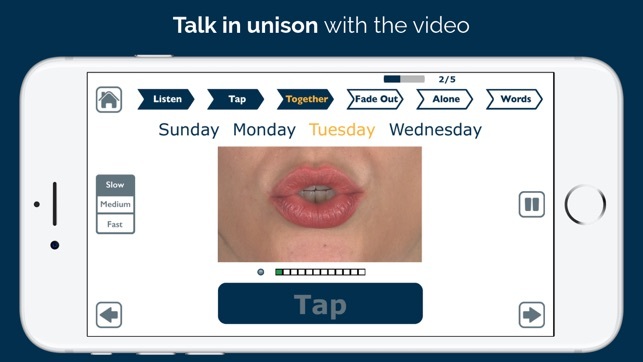 Video-Assisted Speech Therapy: innovative video technology that uses mouth movements, sounds, and other cues to help people speak in unison. GET RESULTS YOU CAN HEAR. HERE’S HOW IT WORKS. 1) Enter a responsive experience with high-quality videos produced by SpeakinMotion. 2) Watch the video model’s mouth movements. 3) Listen, tap along in rhythm, and speak in unison. 4) Repeat as the audio fades out, using the video to keep speech going strong. 5) Speak alone with only visual support. 6) Work through 3 different speeds and varying difficulty levels so your experience is at the right pace. 7) With practice and the app’s gentle guidance, you can begin to speak fluently. THE BEST PART? 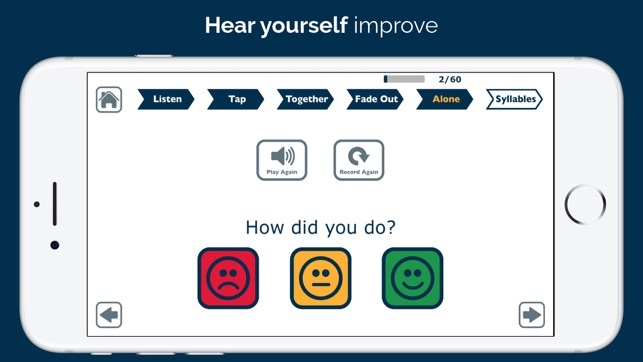 Your speech is recorded automatically and played for self-assessment – and you can quickly and simply save these recordings through e-mail to share with your therapist or family. It takes practice to change the brain – and that’s how we can help. GET EVERY FEATURE YOU NEED IN ONE APP. YOU CAN DO THIS. Imagine a stroke survivor with limited speech recording “I love you” and sending it to the people who matter most in their lives. There’s hope. Love the concept! Have you considered using more mature male and female voices to match the stroke demographic? 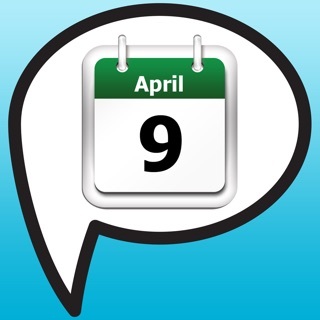 Fabulous Well-Developed App for Apraxia! 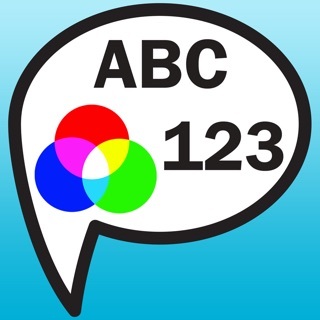 It is great to finally get my hands on a great, well-developed app for apraxia! 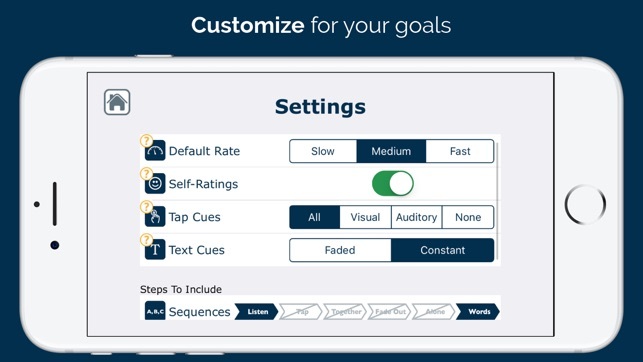 I am using with a non-verbal adult who has begun to make amazing progress since starting with the app. The app has him motivated to "try" again! A great combination of Melodic Intonation Therapy with the VAST approach! User friendly design with functional phrases! Another awesome app from the Tactus Team!